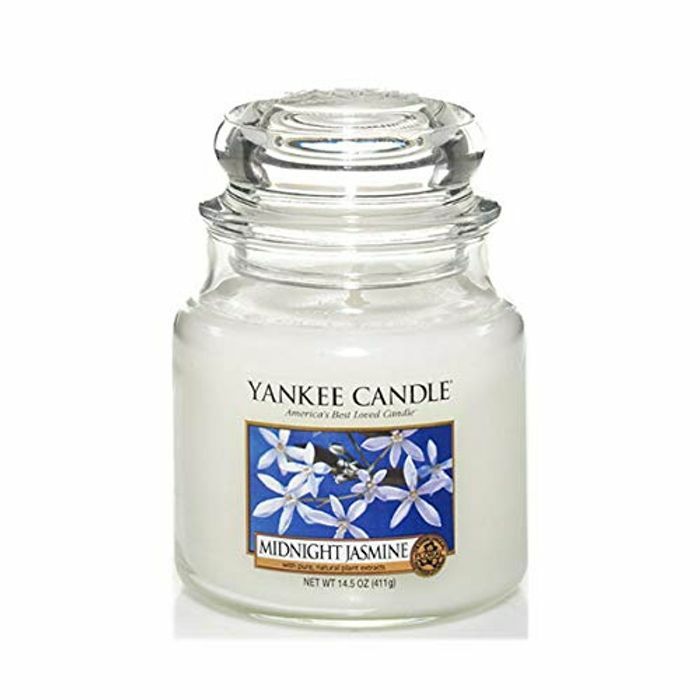 Yankee Candle Midnight Jasmine Jar Candle - Medium. About This Fragrance A seductively lush perfume of water jasmine, sweet honeysuckle, neroli, and mandarin blossom. Fragrance Notes: Top: Neroli, Orantique, Mandarin Blossom, Yellow Grapefruit Mid: Grapefruit Base: Musk, Powdery Notes Top note is the initial impression of the fragrance, middle note is the main body of the scent and base is its final impression.